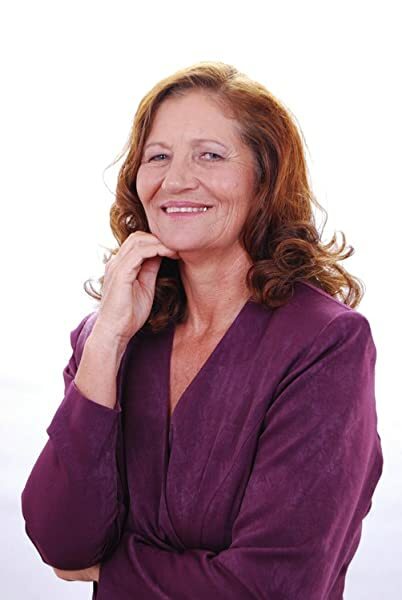 Despair, marriage breakup and rearing three young children, suicide of a partner and loss of her eyesight all became nearly insurmountable to Marion, except for one thing - she learnt how to heal herself. Through sheer strength, resilience and determination plus a life-changing experience, Marion overcame adversity. Healing herself, and learning about the power of the subconscious and self-empowerment she brought herself back from disaster. Along the way, using her experiences and new-found confidence, she healed many others to become a powerful intuitive healer. 5.0 out of 5 starsThank you Marion for this amazing book! I will be honest here and say that I browse Amazon once or twice a month for really inexpensive metaphysical type books that I then use as one of the contents for my metaphysical grab bag boxes that I sell. I will thumb through the books and read a few pages, but none have ever hooked me into reading the whole book, until this one. Facing Demons is the amazing story of Marion Brownlie's experiences in life. She lays it all out there and bares her soul throughout the pages. The book has a definite metaphysical theme, as she is a spiritual healer, but this book is completely relatable regardless of your views. It is a woman's journey in life, and oh what an interesting journey! I highly recommend this book and I am so glad that I found it. Marion's story is so moving and empowering. I am buying more copies for friends and family. Thank you Marion for sharing your story! This well-written book starts when the author is on the brink of suicide. Almost giving in to despair, she experiences a wonderful white light and boundless love and energy in her heart, wich she refers to as I AM. It is a pivotal point, where she starts to realign her deterioriated life. The book reads like an adventure roman, because each time she soars in flight, she plunges down again. Hard. 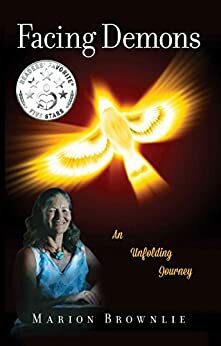 Early in her journey she discovers and starts to use her extraordinary healing powers, at the same time raising her three sons as a single mom. She has many healing as well as self-healing experiences, that really work out well. Yet, each time a new disaster happens, screwing up her life, her health, her relationship. By facing whatever challenge on her path, she discovers that each and every calamity enables her to heal another level of deeply ingrained self-destructive patterns. These patterns are all too familiar for many of us. Grappling with them and step by step overcoming them results in true wisdom. I'm sure that many readers will find new courage and better coping strategies, helping to face their own demons by reading this story. Marion Brownlie is gifting humanity something very special in this spectacular book: The Gift of Love. Through the narrative of her life's journey, we are lovingly acquainted with various aspects of living the Spiritual life. Yet, too, here we see one woman's struggle to stand up amidst very difficult, even tragic circumstances, and transform herself and all those around her who have been touched by her grace. In our own authentic ways, each of us is on this journey. And dear Marion and her book Facing Demons demonstrate that with unconditional love, empathy, forgiveness, and the ability to see the world as it actually is--we can achieve anything we want to achieve, be what we were meant to be: loving reflections of God's Glory. Thank you, Marion! There are so many life lessons as well as amazing information about the non-physical. I felt I was reading a book on the role of the subconscious, the very important role of fathers in bringing up both boys and girls, the role of listening and respecting intuition, being brave and courageous when faced with evil in whatever form that comes in. It dealt with relationship issues, in particular the 'passive aggressive' / 'co-dependent' pairing that regularly happens in couples, and how to break free of that mold. I found the information on entities, aliens and healings extremely fascinating. I highly recommend this book to anyone tired of theoretical self help and spiritual books. This is how its done in real life. This courageous and intelligent warrior woman is a living manifestation of Louise L Hay's 'You can heal your life'. She walks her talk. This is a book I need to read again because there's so much in it - different strands of Marion's life and her work in the metaphysical realms. It's a compelling read because of its unusual contents, certainly, but in particular because of Marion's honesty and with special reference to her disclosure of personal matters that most people would choose to omit. Both the personal and the metaphysical experiences that feature in this book are described in a `no mucking about', `tell-it-as-it-is' style that connects the reader to Marion's journey on a number of different levels. This provides the reader with a unique experience. This book is challenging, provocative and informative.